TSD Video . : Leading design supplier and integrator of high end video technology. From the association of Télé-Syn Vidéo Inc, and Digitec Inc, TSD Video Inc. was launched in 2004, allowing both entities to strengthen their position and increase their merchandizing potential. This partnership combines over 50 years of experience from the two presidents Jacques Besner and Maurice Pauzé. From the start, the company played a front making role on the market, thanks to its technological advances and its after-sales service. It covers a large territory, spreading from the Maritimes to the province of Quebec to Ontario. TSD Video's head office is located in Montreal and regroups a team of experts with the required knowledge and extensive hands-on experience. To meet the video's computer needs, a sector in constant evolution, and to live up to the clients' expectations, TSD Video Inc., is associated with a team of experts in computing, technical maintenance, design and installation. TSD Video is specialized in the distribution of high-end technology video, computer and software products. 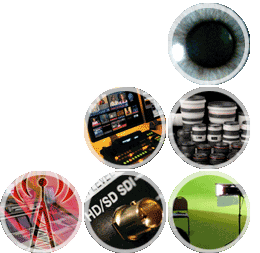 We offer a systematic approach to products and services used by broadcasters and specialized television stations. The integration of digital solutions, both for broadcasting and post-production domains, has made TSD Video stand out. TSD Video is able to help you with all your project design, development, or implementation. The quality of the partnership with our clients and suppliers, as well as the constant search for new solutions and technologies are integral parts of the company's mission. Intercom System, Single/double muff headset, belt pack single and dual channels. Led panel designed for HD and 4K. Fresnel 400W LED Fresnel light Equivalent to 2 K!